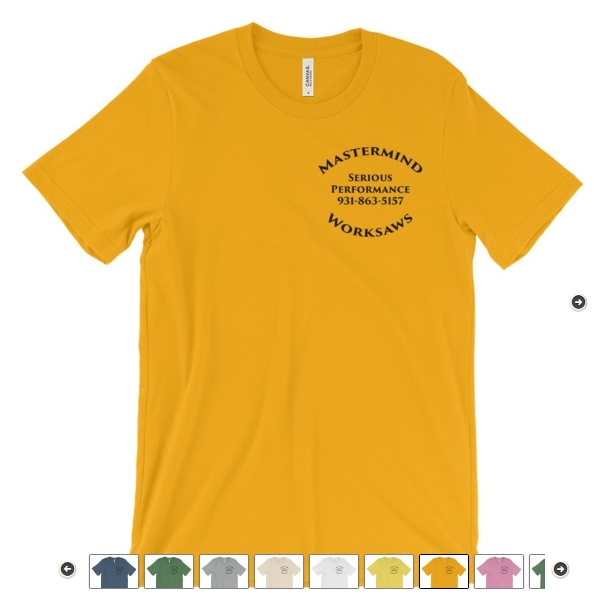 Don’t be jealous of other sawyers you see out and about wearing Mastermind Shirts. 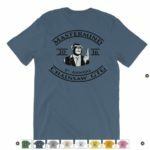 You can up your game simply by wearing Mastermind Worksaws Shirts and also look better at the same time. It’s like Trump’s "Making America Great Again", except I’m Making America LOOK Great Again! 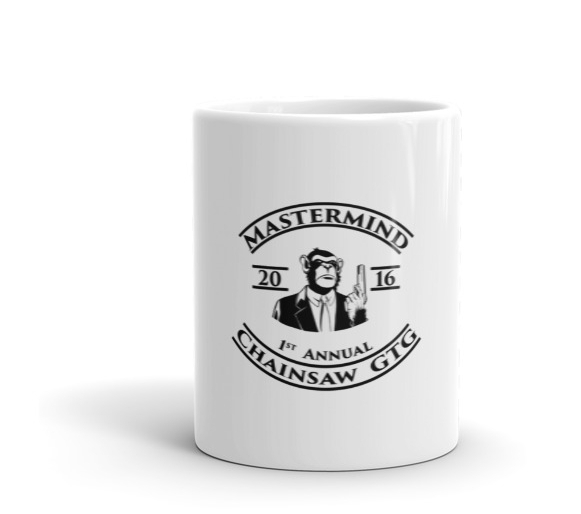 OPEwear was kind enough to help with the design, printing, and shipping of my chainsaw t-shirts & mugs. They had to draw the chimp from my OPEforum profile photo so that it would scale larger on the backs of tee shirts. Did a great job for me too. 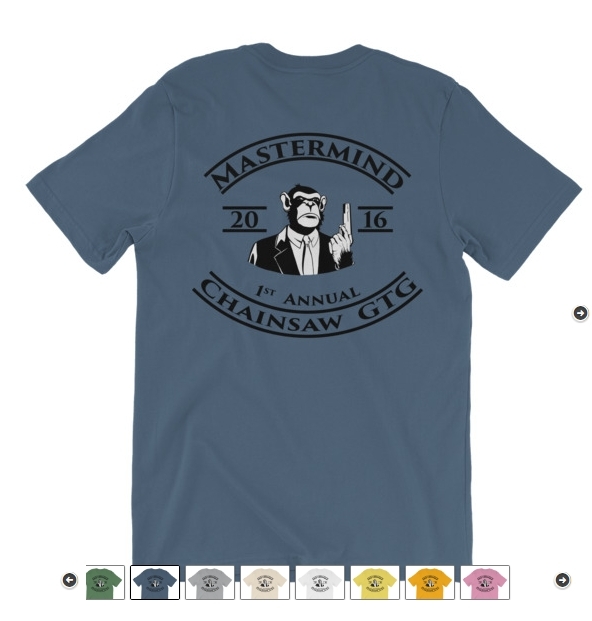 I think this is the first time ever that chainsaw shirts have been available in a wide variety of colors. We sold a lot of blue and grey shirts for this. Those were the popular colors. 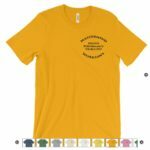 These shirts are all still for sale (perpetually)!